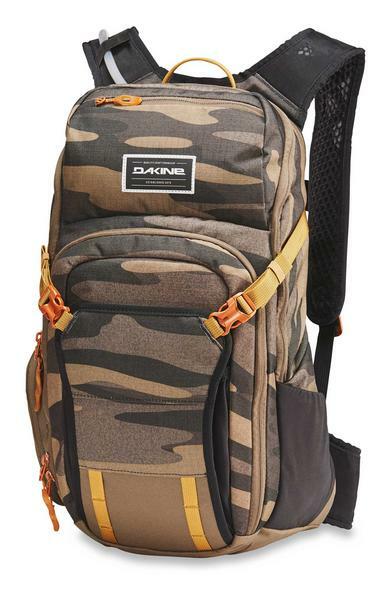 The Dakine Drafter is probably our favourite mountain bike pack here at The Board Basment. 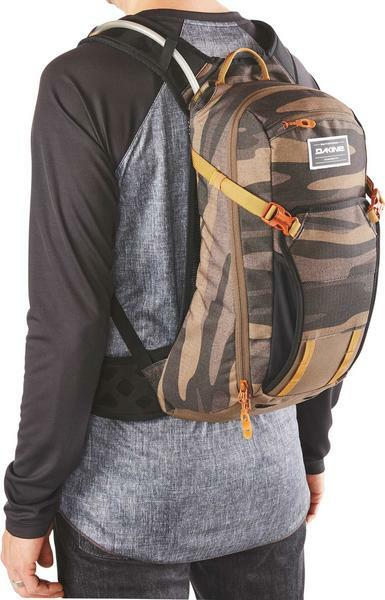 The 18L Drafter is a mountain bike backpack for all your needs from hydration to protection all in a breathable design. 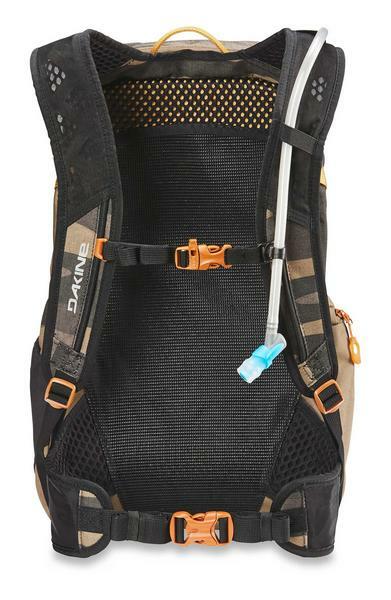 Stay hydrated on the move with the 3-liter Hydrapak reservoir, located on the lumbar for a lower center of gravity, with a high-flow bite valve. Stay cool and comfortable thanks to the air suspension back panel and breathable ergonomic shoulder straps. The roomy main pocket holds all your extra layers, while the front pocket features an organized home for all your tools, replacement parts and necessities. Additional features include spine protection compatibility (not included), an external helmet carry, plus deployable armor carry straps.